Day Three of the banger rally challenge Coast to Coast The main route shown below. The banger rally starts from Kitzbehul and finishes on Lake Bled. 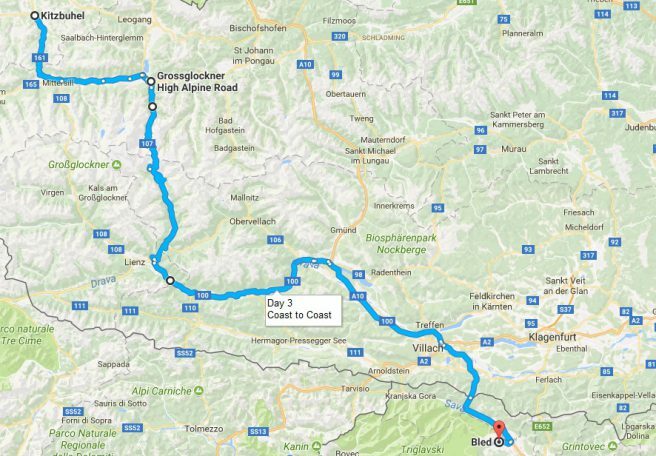 The main route will pass over Grossglockner High Alpine Road, before heading down to the stunning lake bled, Slovenia. We have two route options today both take the high alpine road.